Join us for a screening of the film Sunú on Monday, March 6 at 4:30 PM. Sunú reveals how maize and everything it gives life to could be lost forever, and shares a generous tapestry of simple, heartfelt messages for the farmers of the world and the city dwellers who could lose the capability to make important choices unless they act soon. Seen through the eyes of small, mid-size and large indigenous and independent Mexican maize producers, Sunú knits together a diverse variety of stories from a threatened rural world. This film documents how farmers work the land and cultivate their seeds while being true to their cultures and their forms of spirituality. Free admission. Donations gratefully accepted. Discounts available only by phone or in person at the McIntyre Hall Box Office. Some restrictions may apply. Join us for our Christmas Concert at Los Cenzontles Academy on Friday, December 9th at 7pm featuring music and dance performances by our wonderful Academy students. $5 admission supports our youth program. Children 12 and under are free. Food and beverages will be available. Los Cenzontles Cultural Arts Center will host an event in honor of Dia de los Muertos (Day of the Dead) on Saturday, October 29 at 7:00 PM. The event is open to the public and will feature music and dancing by Los Cenzontles, and a community altar created by artesania master artist, Marie-Astrid Do-Rodriguez and her students. Admission is free. Food and drinks will be available for purchase. Dia de los Muertos is celebrated in Mexico and by Mexican-Americans throughout the world. The holiday gathers friends and family to remember loved ones. Guests are invited to bring photos and mementos of those passed to place on the altar and gather together in a celebration of life. Los Cenzontles and special guests Max Baca and Josh Baca of Los Texmaniacs perform at the Towers of Gold Stage of the Hardly Strictly Bluegrass Festival. Join us for special live Los Cenzontles performances at the Joe Henderson Lab at the SFJazz Center on Sunday, July 24 at 7 PM and 8:30 PM. Fresh off their triumphant tour of Cuba, Los Cenzontles will perform 2 shows of a wide variety of traditional Mexican and original songs with acoustic instruments in a wonderful, intimate setting. We look forward to seeing you there! For tickets and more information please click here. Join us in welcoming Los Lobos to the stage at The UC Theatre in Berkeley, CA! Come for a performance by Los Cenzontles followed by a performance by the legendary band Los Lobos. 2 blocks from Downtown Berkeley BART station. Please see The UC Theatre website for information about parking. Enjoy traditional Afro-Peruvian music such as Lando and Festejo with elements of jazz and 70's salsa that provides a colorful and powerful swing that will keep you dancing. 15 entrance fee, children under 12 years old are free accompanied by their parents. Special cultural food and beverages are available for purchase. Made possible with generous support from the California Arts Council - Creative California Communities. Los Cenzontles Center and El Colegio de Michoacan invite you to a presentation by Alvaro Ochoa Serrano of his new book "La Musica Va A Otra Parte Mariache Mexico - USA. Samuel Orozco of Radio Bilingue and Isidro Jimenez of Radio Cupertino will also make comments on the book. Celebrate the birthday of renowned DJ and Los Cenzontles Marketing Manager’s José Ruíz with an evening of authentic Cuban son-montuno, cha-cha-chá, bolero and original songs and contemporary sounds of local legend Fito Reinoso y sus Clasicos de Cuba. $15 entrance fee, children under 12 years old are free accompanied by their parents. Special cultural food and beverages are available for purchase. Enjoy the classic sounds and songs of this local favorite. Trumpets, violins, guitarrones and vihuelas perform beloved songs of Mexico’s popular songbook. Los Cenzontles opens the show. Bring a party of friends and make a special night of it. A remarkable demonstration of Michoacán's Tierra Caliente (hot land) signature musical tradition. The people of this hot, flat region are united by the Tepalcatepec River basin, rich farmlands, and the sound of one of Mexico's liveliest, most historically rooted, flourishing, and best-kept musical secrets: the conjunto de arpa grande (big harp ensemble). This group interprets the classic Michoacán song repertoire of sones, jarabes, valonas, and especially canciones rancheras that calenteños (natives of Tierra Caliente) from both sides of the Mexican and USA border continue to enjoy today. Dinner and beverages are available for purchase. This event is made possible through a grant from the California Arts Council. Los Cenzontles Cultural Arts Academy - Los Cenzontles Cultural Arts Academy, 13108 San Pablo Ave. (next to Smart and Final), San Pablo CA, 94805. Event begins at 7:30 pm! As the youngest of thirteen children born to Mexican immigrant parents, Hinojosa grew up listening to traditional Mexican songs as well as the pop and folk stations of the 60s on her parents’ radio. Inspired by these diverse influences, her career took her to New Mexico and then to Nashville. Performing with legendary country musician, Michael Martin Murphy, inspired her to begin writing her own songs in English and Spanish. After her first independent release (Taos to Tennessee, 1987), she was signed by A&M Records and achieved an international debut release. Since then, a continuous stream of recordings and numerous American and European tours have brought Hinojosa’s music to an ever-expanding audience. To date, she has released 16 albums. Her releases explore a wide variety of styles, ranging from the perfect balance of country, folk, and Latino elements on the award-winning Culture Swing (1992) and the collection of Mexican love ballads and border songs on the all Spanish Frontejas (1995), to the delicate mysticism of Dreaming From the Labyrinth (1996) and the joyful optimism on her bilingual children’s record Cada Niño/Every Child (1996). Sign of Truth (2000) added yet another facet to Hinojosa’s sound, revealing a more personal, intimate, and independent side. With accolades that include playing at the White House at the invitation of President Clinton and Hillary Clinton, Linda Ronstadt recording her own version of Tish’s song Donde Voy, and teaming up with artists like Joan Baez, Kris Kristofferson, Dwight Yoakam, Nanci Griffith, Pete Seeger, Flaco Jimenez, and Los Lobos, Hinojosa’s sound has an undeniable and far-reaching appeal. Renowned minstrel troubadour, Guillermo Velázquez, of Xichu, Guanajuato, wil be giving a workshop on the ancient tradition of folk and improvised verse for celebration and loss. Free admission. Workshop will be conducted in Spanish. Un Mano a Mano (Battle of the Bands) Con dos grandes del Son Huasteco. (With two great Son Huasteco Groups.) Trio Los Guevara and Trio Tradicion de la Sierra. $30 Entrance; Presale: $25. Children under 12 are free. Benefit for Los Cenzontles Cultural Arts Academy. Our annual celebration of Dia de los Muertos. Marie-Astrid is making an altar, performances by the teen mariachi group and Fandango! Dr. Randall (R. C.) Kohl will present a solo guitar recital of compositions and arrangements by the Orizaban guitarist Octaviano Yáñez (1865-1927) who, though largely unknown today, was considered Mexico’s finest classical guitarist during the late 19th and early 20th centuries. Compositions by Yáñez that will be performed include “Anita,” “Domitila” and “Último Amor” along with his arrangements of popular works of the day such as Felipe Villanueva’s “Vals Poético,” Luis G. Jorda’s “Elodia” and Franz Lehar’s “Merry Widow Waltz.” This program of simple, enjoyable melodies set to waltz and habanera rhythms pleasantly portrays the salon music of Mexico’s “belle époque.” Dr. Kohl is an instructor on the Music Faculty at the Universidad Veracruzana in Xalapa, Veracruz, Mexico, and a member of Mexico’s Sistema Nacional de Investigadores (National System of Researchers). Los Cenzontles (The Mockingbirds) celebrates the release of their newest album “Alma Campirana” (Country Soul), an album of vintage Mexican songs in the country campirana sytle of the 1950's and 60's. Set to acoustic folk guitars, the Los Cenzontles quartet brings vigor and freshness to classic rancheras and corridos. Los Cenzontles will perform songs from the new release as well as a variety of styles from their songbook of roots music and songs of conscience. 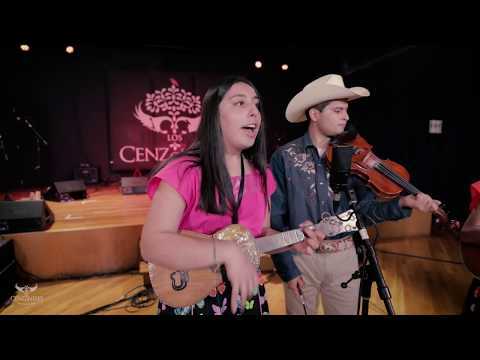 Los Cenzontles are fronted by their celebrated vocal duet of Fabiola Trujillo and Lucina Rodriguez along with director Eugene Rodriguez, vocals and guitars; Emiliano Rodriguez, bass; Juan Carreon, drums; and Silvestre Martinez, percussion. Los Cenzontles are based at their Cultural Arts Academy in San Pablo, CA. Since 1989 they teach, create media and have recorded and performed with a broad list of Mexican folk and world music artists that include Linda Ronstadt, Los Lobos, Jackson Browne, Ry Cooder, Taj Mahal, The Chieftains, Flaco Jimenez and many more. Renowned percussionist, Silvestre Martinez, will be giving a workshop highlighting the musical traditions of Oaxaca, Mexico. This event is free and open to the public. Los Cenzontles touring group will be performing from 1:45pm-2:30pm at the Esplanade Stage. This is a part of Bay Area Bold, a two-day event presented by the San Francisco Foundation celebrating community, fresh thinking, and calling for collective regional action to unlock opportunity in every Bay Area Community. Our Teen Jarocho Ensemble will perform from 12:15PM - 1:15PM at the City of Dublin Splatter event. Los Compas is a crisp, energetic, favorite party band and has shaped a sound that embraces the diverse musical cultures that make up the Bay Area Latino community; Cumbias, Merengue, Tex-Mex and Salsa. The group is led by Miguel Govea – band leader, arranger, trumpeter, accordionist, vocalist and recording artist, and one time member of the seminal Chicano New Song band, Los Peludos. Our Teen Jarocho group will perform at La Peña Cultural Center as part of Avotcja's 74th Birthday Bash. An evening of live traditional music and dance of Huapango Huastecos y Arribeño from Xichú Guanajuato, México. Entrance $20 Dinner and beverages available. Kids under 12 are free. All ages are welcome. Proceeds support youth arts programming at Los Cenzontles Cultural Arts Academy. Live music, dance, Mexican barbecue, raffles, silent auction and more! $100 VIP room access includes private Meet and Greet and drinks. Admission price includes food and soft drink. Proceeds support youth cultural arts programming. The Juvenil Ensemble will be performing at noon for the 15th Annual Malcolm X Jazz Festival in Oakland's San Antonio Park. Sponsored by the Eastside Arts Alliance. Los Cenzontles will perform live at our Noche Cultural. SAN PABLO / RICHMOND, Calif, - Los Cenzontles and Andre Thierry unite their Latino and Creole traditions to create a soulful new sound. Their album mixes zydeco accordion, Mexican brass banda, congas and washboard that create a deep irresistible groove and fresh lyrical voice. They are joined by music legend David Hidalgo, of Los Lobos. Los Cenzontles (The Mockingbirds) and Andre Thierry are both from the Richmond / San Pablo area of San Francisco's East Bay, a working class neighborhood, home to Creole and Mexican American communities for generations. Steeped in their cultures, both groups have passionately embraced and cultivated their traditions into uniquely proud and powerful voices. “Shades of Brown” is a celebration of their shared love of neighborhood, accordions, soulful singing and dancing to the oldies. Local musical treasures José Roberto y Sus Amigos (Cuarteto) connect the spirit of Latin America and the Caribbean with music and songs from the rich tradition of “BOLEROS” classic, romantic and danceable music. Los Cenzontles will perform a special show at Sonoma State University's Weill Hall on November 13th at 7pm. Los Cenzontles will be performing at the Women's Donor Network annual conference. Los Cenzontles is pleased to be performing as part of the 15th annual Dia de los Muertos at the iconic Hollywood Forever Cemetery on Nov 1st, 2014. The event goes from noon to midnight. Los Cenzontles will perform at 5pm. Children 8 years and under and Seniors 65 and over FREE until 4pm. Los Cenzontles' teen Jarocho Ensemble (LC Juvenil) will be performing at the Oakland Museum's annual Dia de los Muertos event on Sunday October 26th at 1:00pm. Los Cenzontles, in collaboration with animator Dionisio Cebellos and artisan Marie-Astrid Do-Rodriguez, has created a short, animated film, titled Tata’s Gift. Using original digital animation, folk art, and music, Tata’s Gift tells the story of a boy who finds strength and resilience in his family's cultural heritage as he struggles with bullying in the video age. The band will perform live along with this video and other short videos for a fun, multi-scensory show for the whole family. Contact Fabiola Trujillo for more information at fabiola@loscenzontles.com or by phone at 510-233-8015. Please join Los Cenzontles at Daly City's 12th annual National Hispanic Heritage Month Celebration on Thurs., Sept. 18, 2014, 5:00-8:00 pm, at War Memorial Center, 6655 Mission Street. Los Cenzontles will perform at approximately 6:15pm. You are invited to an open house to get to know Los Cenzontles! We will have music, dance, artesania, and cooking demonstrations. Ask questions, learn about our center, and sign up for classes! Horchata, coffee, and pan dulce will be provided. Los Cenzontles and Andre Theirry will be performing at Don Quixote's International Music Hall in Felton, CA on August 28th at 2pm. Join Los Cenzontles on July 25th at the de Young Friday Night event, Mex I Am. Los Cenzontles will be opening for La Santa Cecilia at Stanford Live on July 20th. Join Los Cenzontles at the World One Festival at El Cerrito Vista Park on July 3rd at 5:30pm. Students, ages 5-15, will learn Mexican inspired instrumental, vocal, dance and arts and crafts skills, in a fun, group environment and under the instruction of master artists. The program is intended to take children’s artistic talents to a new level, helping them develop technical ability, confidence, creativity and ensemble performance skills. At the end of the session, students will present their art projects and participate in a performance, which will be free and open to the public. *Additional sibling discount may be available based on financial need. Call Fabiola at 510-233-8015 or stop by the Center for more information or to enroll. Please arrive early, as seating is first come first serve. David Hidalgo, of Los Lobos, Los Cenzontles, and the sensational young zydeco master Andre Thierry join forces to explore the Creole-Mexican connection and unite their rich traditions into an energizing, soulful new sound. Hurry, this show will sell out! For those who do not live in the Bay Area, check out a live web stream of the show HERE. Los Cenzontles presents a Dia del Niño event on Saturday morning, April 26 at 11am at its Center in San Pablo. Tickets can be purchased at the door or by calling 510-233-8015. The Children’s Day celebration features an interactive music and dance performance by Los Cenzontles for at children and their families. Kids will learn about traditional Mexican musical instruments and have fun with hands-on rhythm, dance and art activities. WHAT: Los Cenzontles Dia del Niño celebration, featuring interactive performances, art projects for children and adults, food and drinks for sale, and a silent auction. Join Martin Gonzalez, owner of La Strada and Restaurante la Revolucion, to learn how to prepare healthy and delicious Mexican and Italian food. Using fresh and locally sourced ingredients, Martin will demonstrate how to quickly and easily prepare appetizers and entrees. Participants will be able to sample all the dishes and wine. Enrollment is limited - reserve your place now! Los Cenzontles touring band will be at UCLA for two days of performances, lectures, and workshops. Los Cenzontles Academy winter session begins on January 13th and ends on March 28th. Call Fabiola at 510-233-8015 or stop by our center to enroll for classes. Los Cenzontles proudly announces an intimate performance with music legend David Hidalgo (Los Lobos), Los Cenzontles and special guest artist Zydeco accordionist Andre Thierry on January 9, 2014 at Los Cenzontles Mexican Arts Center in San Pablo, CA. The artists will perform songs rooted in Mexican and Zydeco traditions featuring a wide array of musical instruments as well as new fusions that celebrate our diverse community. The event launches a new collaborative recording and oral history project, Zydeco Mexican Connection: Neighborhood Stories from the Heart of Richmond. The project explores and celebrates the deep cultural history of Richmond and San Pablo, home of Creole artist Andre Thierry and Mexican American group, Los Cenzontles. Doors open at 6:30 PM. Food and beverages will be available for purchase. $30.00 per ticket in advance; $35.00 at the door. Los Cenzontles' annual Christmas event will take place on Friday, December 13 at 7:00pm. Join us for this festive evening of music, student performances, homemade food and beverages. Fools Creek, a local band and friend of Los Cenzontles, will be hosting a benefit concert for Los Cenzontles Mexican Arts Center's Supporting Roots Campaign on Sunday, December 8th at 3:30pm at LCMAC. Join us at our popular Dia de los Muertos event to celebrate the holiday as well as the grand opening of our new space!! We will have a fandango, food, beverages, activities in our brand new kitchen and art room, and of course a beautiful altar! Join Los Cenzontles at a special benefit concert to raise money for the renovation of La Pena's Unity Mural. Los Cenzontles is please to headline the premier of the film, "This Ain't No Mouse Music" at the Sweetwater Music Hall in Mill Valley. LC joins an excellent musical line-up, including Eric and Suzy Thompson and Creole Belles. Los Cenzontles is pleased to be performing at Cal Performances' "Fall Free for All" event again this year! Singer songwriter Jackson Browne and David Hidalgo will kick off Los Cenzontles Supporting Roots Capital Campaign drive with a very special benefit concert at the Richmond Craneway Pavilion on Sunday, September 29 at 7:00 PM. Los Cenzontles touring group and students will also perform. Los Cenzontles touring group will be performing at the Mission Economic Development Agency's 40th anniversary event on September 26th. Los Cenzontles will perform at approximately 7:30pm at San Francisco City Hall. This event is open to the public. Los Cenzontles will be performing at the National Museum of Mexican Art in Chicago on September 15th at 7:30 PM as part of the Chicago World Music Festival. Los Cenzontles will be participating in a Migrant Education workshop and performance in Pescadero, CA. This program is funded by the National Endowment for the Arts. Los Cenzontles touring group will be participating in the Music on the Main festival, presented by Richmond Main Street. LC will perform between 5:00pm and 7:30pm on Wednesday, August 28th. Location: Corner of Marina Way and Macdonald Avenue in Richmond. Los Cenzontles is pleased to participate in the 2013 Fort Ross Festival! This year's weekend-long celebration brings together artists & performers from around the world covering the breadth of historic Settlement Ross's multicultural community, all performing in an outdoor amphitheater with the Pacific ocean as a backdrop. Los Cenzontles will perform around 12:00pm. Los Cenzontles touring band will be performing at the new SFJAZZ in San Francisco on July 19th! Our talented and hard working campers will be performing for friends and family on Thursday, June 27th at 6:00pm at Los Cenzontles Mexican Arts Center. Los Cenzontles is pleased to be performing at the De Anza College commencement reception! The performance will begin at 7:30pm. Los Cenzontles is proud to offer its third annual Summer Intensive Cultural Arts Program! This year, due to popular demand, we are offering two summer camp sessions – a two-week session from June 17-June 28 and a three-week session from July 8 to July 26. Each session will be differentiated enough so that children can enroll in both and still have a fun, unique experience. Students, ages 5-15, will learn Mexican inspired instrumental, vocal, dance and arts and crafts skills, in a fun, group environment and under the instruction of master artists. The program is intended to take children’s artistic talents to a new level, helping them develop technical ability, confidence, creativity and ensemble performance skills. At the end of each session, students will present their art projects and participate in a performance, which will be free and open to the public. At this time we do not offer sponsorships, but we are still making every effort to keep fees affordable. *Additional sibling discount may be available base on financial need. Join Linda Ronstadt and Eugene Rodriguez as they speak about the origins of Los Cenzontles Mexican Arts Center as part of “The Making Of…” at SFMOMA. The presentation will include historic photos and live music to tell the story of personal and social reconciliation and the founding of a vibrant community center now entering into its third decade. The Making of Los Cenzontles is part of a wonderful daylong, museum wide event by award-winning radio producers, The Kitchen Sisters (Davia Nelson and Nikki Silva) and KQED. "The Making Of…" is a multimedia series about what people make in the Bay Area and why, capturing the art, creativity, and innovation happening in backyards, workplaces, cultural institutions, and public spaces throughout one of the most diverse and innovative regions in the country. Los Cenzontles Academy private students will be performing at our Art Center on May 28th at 6:30pm. Come on out to support these talented musicians! Los Cenzontles Academy students will celebrate their mothers at Los Cenzontles Mexican Arts Center on May 11th at 7:00pm. This special evening will feature performances by our students and the LC Touring Band, food and beverages, and a presentation of homemade gifts for the mothers in attendance. We hope to see you there! As part of our partnership with California Migrant Education, Los Cenzontles is travelling to Springville, CA to provide interactive musical programming for children of migrant families. Three performances inside the aquarium as part of their Dia del Nino event. The Los Cenzontles touring band will be performing at the Cesar Chavez Day Festival in San Francisco. The performance will begin at 2:00pm. Los Cenzontles and our students are performing at the San Pablo Library on April 20th at 11:00am. This will be a special Dia del Nino performance geared towards children and their families. Stay tuned for the Spring Session schedule! Los Cenzontles will be participating in a Migrant Education workshop and performance in Salinas, CA funded by the National Endowment for the Arts. Los Cenzontles touring band will be performing at the Mello Center for the Performing Arts in Watsonville, CA. Tickets are $12 and are available here or at Jensen Music at 1931 Main St. in Watsonville. Check out the Academy page for more information. Los Cenzontles will host a family friendly, festive event to celebrate the holiday season. Starting with a traditional posadas around the neighborhood, and concluding with a party at our Center. Children's games, food, beverages, and of course music will be provided. Event begins at 6:30 PM. Los Cenzontles Academy hosts its popular, end of the year recital for students taking group classes in singing, dance, and music. Join us as our students get their moment in the spotlight! Performances begin at 7:00pm. Doors open at 6:30pm. Academy students taking private lessons in piano, violin, guitar, and singing will show off their skills at this intimate performance for students and their families. Event begins at 6:30pm and will last approximately 1 hour. Los Cenzontles is hosting its annual Dia de los Muertos event on November 2nd at 7:00pm. Los Cenzontles is slated to release their exciting new album, Regeneration, on October 9th. To celebrate, Los Cenzontles, along with David Hidalgo will be performing the evening of October 27th at Yoshi’s Oakland! Come on out for one or both shows at 8:00pm and 10:00pm. As part of the Oakland Museum’s annual Dia de los Muertos event, Los Cenzontles will be performing from 3:15pm to 4:00pm at the Museum. Los Cenzontles will be performing at our Music & Tamales event! Come out and join us for a fun, family friendly event full of music, food, and beverages! Los Cenzontles, with special guest David Hidalgo of Los Lobos, will be performing at the new Reva and David Logan Center for the Arts as part of their Grand Opening Celebration. For all of our Chicago fans, please join us for this special event! Los Cenzontles is proud to be participating in the 2012 San Francisco Latino Film Festival! Voices of Chile observes the challenges of achieving democracy after a dictatorship has collapsed. Corporations, Media and Education are candidly discussed through stories and facts. For all of our fans out by Yosemite or those who are up for a beautiful road trip through the Sierras - come on out to the Millpond Music Festival on September 22nd! Los Cenzontles will be performing alongside a great array of bands including Big Bad Voodoo Daddy, Dave Alvin, Dead Winter Carpenters, Tom Russell and more. Imagine rummaging through a flea market and coming across someone’s family pictures and films. Who would get rid of such meaningful mementos and why? After purchasing the lot of super 8mm film at a Mexico City antique shop, the filmmakers embark on search for Larisa, the captivating little blond girl in the pictures and films. This chance encounter with a family’s belongings becomes a captivating human study of memory and media. Los Cenzontles will be performing at the Mexican Independence Day Fiesta, put on by the Mono Council for the Arts on September 15th. Los Cenzontles has been asked to perform with The Chieftains for their 50th anniversary tour at Davies Symphony Hall as part of the SF Jazz Festival! The Band is honored to be playing with these legendary musicians and we would love for our fans to be in the audience.